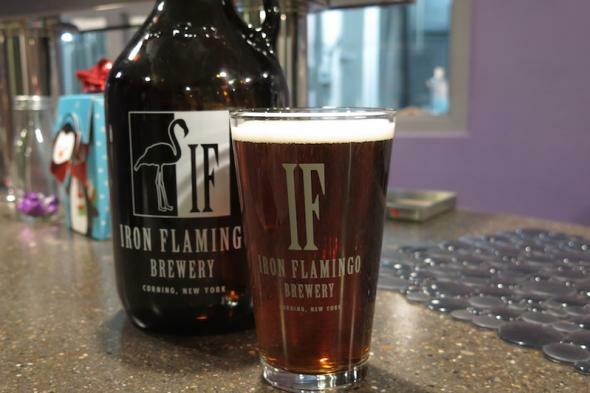 Sure the name might come from a friendly prank, but the folks at Iron Flamingo Brewery are serious about crafting great brews. 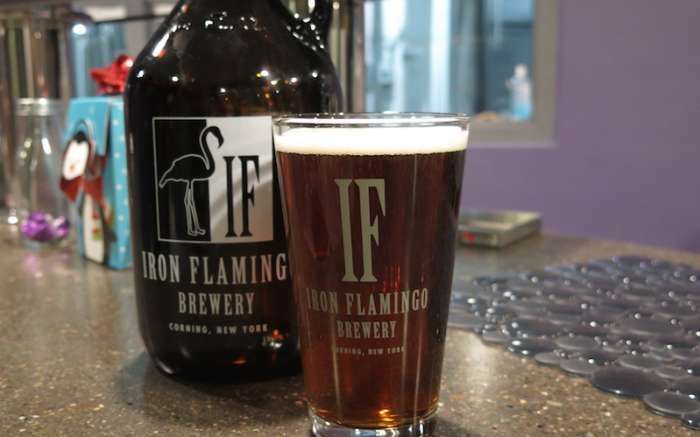 Iron Flamingo is the first craft brewery in Corning focused on producing beers to distribute to local restaurants and bars, as well as to larger retail outlets like Wegmans. 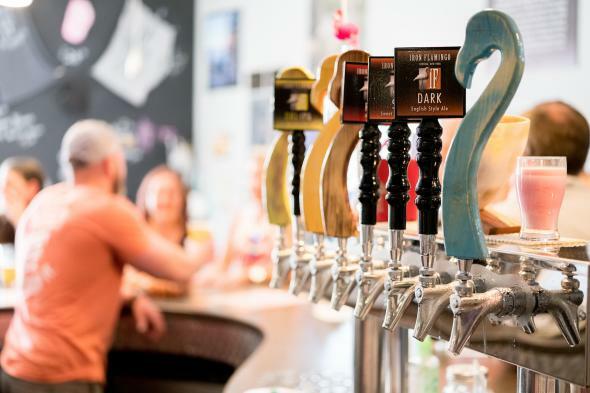 To date, you can find their beers in nearly four-dozen locations throughout the region. 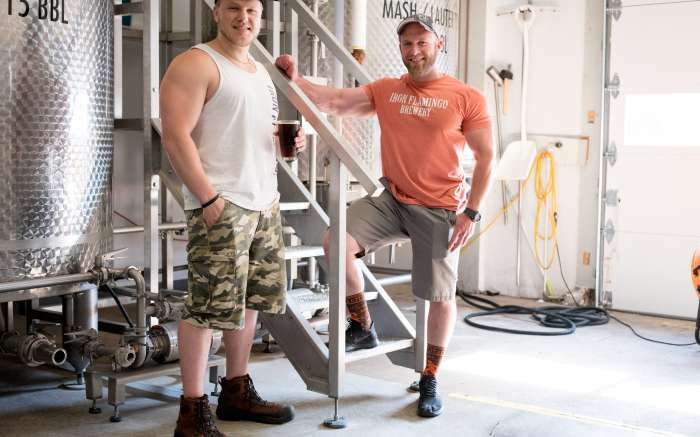 Ben Maurer was already home brewing when his dad got the idea of starting a brewery. 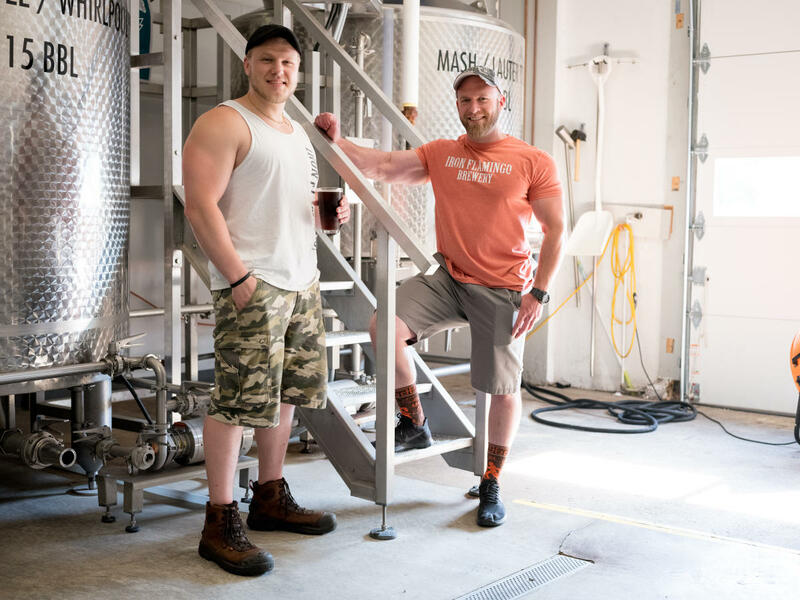 After learning more about the craft from a master brewer, Ben took over brewing at Iron Flamingo, while also helping in the tasting room and doing a little of everything else that's needed along with his mom and dad. Right now they're focused on brewing four beers plus a special seasonal brew, opting for quality over quantity. 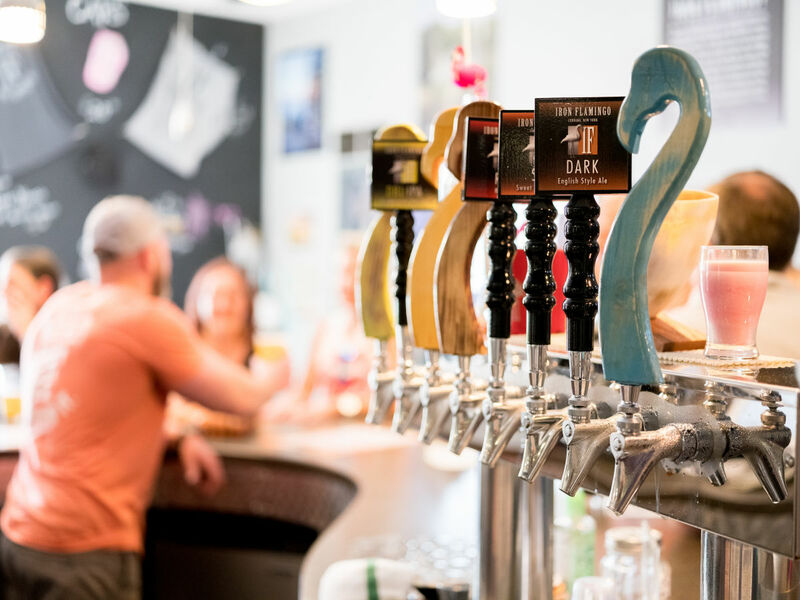 But with a 15-barrel system and their own bottling capabilities, IF has the facilities to allow them to transition into making more of those quality brews once they're perfected. 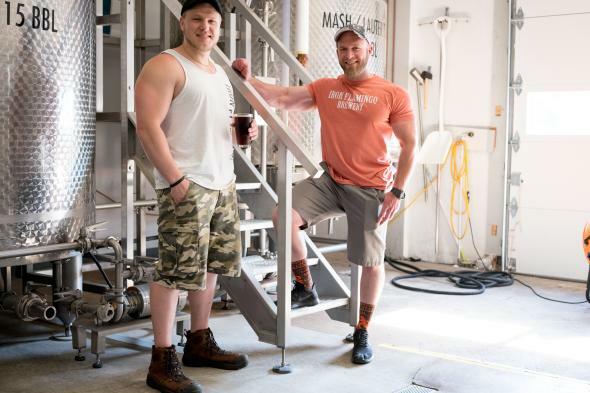 Based on the response they've been getting so far, their IPA, English-style Dark Ale, Red Ale, and the rich, smooth, full-bodied Mocha Coffee Porter which has subtle hints of chocolate and coffee, these brews are well on their way to a wider distribution. Iron Flamingo offers tastings, as well as half-pint and full-pint pours that you can enjoy at the tasting bar or at several small bar tables. Once the labels arrive, you'll be able to buy six packs, 22 ounce bottles, 32 and 64 ounce growlers, even kegs. 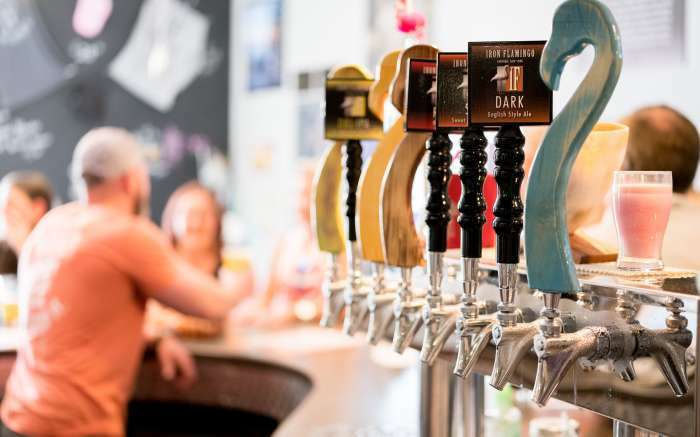 Stop by to taste beers that have the locals buzzing.